Ashcroft was situated in the region then known as Kingston Buci, now Kingston by Sea. 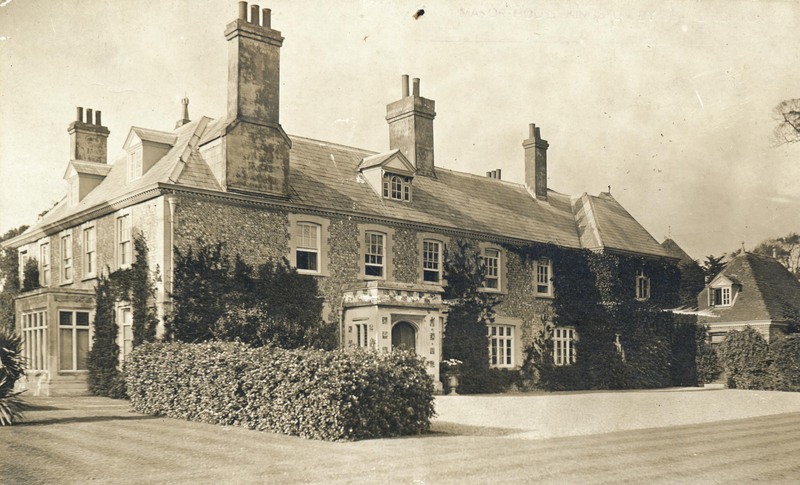 The Manor House was acquired by William Gorringe in the early 19th century and ‘Ashcroft’ was built in the grounds of the Manor House as a home for one of the younger sons. The house at ‘Ashcroft’ was large with many bedrooms and living areas. It was situated on 2½ acres of beautiful gardens which were designed in a Victorian style with the property fronting on to Kingston Lane. These expansive gardens became a wonderful place of play for my sister Sheila and me, providing a perfect venue for us to expand our innate creativity; to put our imaginations to good use, and where we could happily pass the time in magnificent surroundings, regardless of our purpose. As well as including a lovely Victorian garden there was an area comprising a grove of trees, perfect for hide and seek, and our numerous other adventures. Separate from the house, there was a little thatched cottage which my mother named ‘Ailsa Craig’. This rather strange name had an equally strange origin in that when we first moved to ‘Ashcroft’ the cottage was filled with onions which my mother had to have shovelled out. The apparent relevance of the name was the association of the onions with the small dome-shaped, rock-island of the same name which rises sharply from the Firth of the River Clyde in Scotland and after which a sweet gourmet onion has been named. Admittedly it was a strange name for a cottage but nevertheless, one with which it was tagged by my mother. The cottage was constructed to reflect an exact replica of a Scottish croft and was complete with a large chimney in the centre. It was apparently built for the sons, nephews and friends of the Gorringe son who resided at ‘Ashcroft’, and where he and his companions would retreat and use as a place for them to smoke their opium. According to my father, most young men in those days smoked opium whereas the women took laudanum; I’m not sure of the legalities at the time. The central chimney was enormous with the added intrigue of having steps cut into the inside leading up to the roof. Sheila once climbed into the chimney and up the stairs, eventually emerging on to the roof, but I wasn’t sufficiently game to do likewise. Presumably the chimney design was intended for the opium smoke to disappear up the chimney however, and also quite likely given the steps cut within it, this could also have provided means for a hasty and potentially secretive exit if required for any particular purpose. Despite this aspect of its history, the cottage served as a perfect cubby house for Sheila and me and where we spent many hours happily playing house. Having this position also required my mother to adjudicate upon adult criminal-related matters, the proceedings being heard within the actual magistrates’ court. I recall an occasion when my mother was quite upset because she had had no option but to remove a local publican’s licence for one month, his infringement being that he had allowed someone to become drunk on his premises. How times have changed since then! On another occasion the entire family was very distressed when my mother had to deal with a little boy who had not only stolen a small rabbit but had then proceeded to break each of the its’ four legs. The boy said he did this to prevent the rabbit from running away. Because the boy was under the age of eight years, there was nothing the law could do in the way of punishment. My mother continued on in this role as lay magistrate and justice of the peace for the greater part of her life. My father was certainly no slouch either. He had a great intellect generally and, more specifically, was a brilliant mathematician, his career path taking him through to his eventual position as Secretary of the Phoenix Insurance Company. He had served as a young army officer in the Boer War, and later as a Lieutenant Colonel in the Great War. Later, during World War I, he was not sufficiently fit for active service overseas; instead he remained based in England where he trained young soldiers. For many years I had in my possession a handkerchief which my father had kept as memorabilia of The Boer War and on it were printed the words and music of Rudyard Kipling’s 1899 song ‘Absent Minded Beggar’. My father was a business man typical of the era. Each morning he would leave the house smartly attired in his business suit, complete with a fresh buttonhole for the jacket. This would very often be a rose, prepared daily and left ready for him in the hall. He always wore a genuine bowler hat to work each day and a silk top hat on special occasions. If he had a Board Meeting to attend, he would wear his tail coat. Thus attired, he would travel by car to the station and then by train to his London office. The formality of his dress, and of his general demeanour, was quite typical for the era for people of his status in life, and especially so for those who spent their days in the world of commerce. Notwithstanding their respectively busy schedules, the difference in their ages and personality, and my father’s ongoing health concerns, my parents worked well together. It was a happy home and neither Sheila nor I ever had cause to feel disregarded; nor were any of our needs unmet. Whilst we were living at ‘Ashcroft’, the owner, General Sir George Gorringe, lived in a nearby house. He was a bachelor and war time hero. 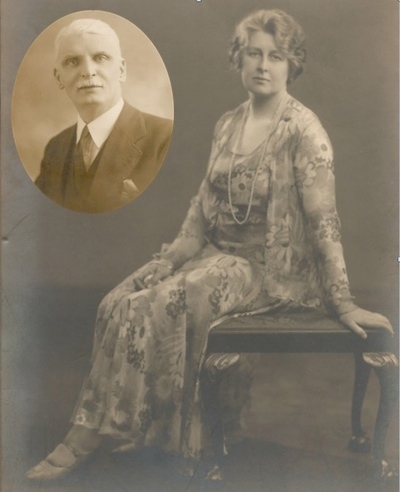 Another direct descendent of the original Gorringe family was Bill Gorringe. He was a funny old man who became a very good friend of ours and Sheila and I called him Uncle Bill. He lived right up on the Downs in a most extraordinarily tacky old building. Before Bill died I took Laurence to visit him in the hospital. As they chatted during the visit, it emerged that, not only had they both been to the same school, albeit at separate times, but had also been in the same school house. Bill looked upon us as if we were his surrogate children and, after my father died, he had wanted to marry my mother but she didn’t want to marry him. He was quite convinced she would change her mind but it wasn’t to be. 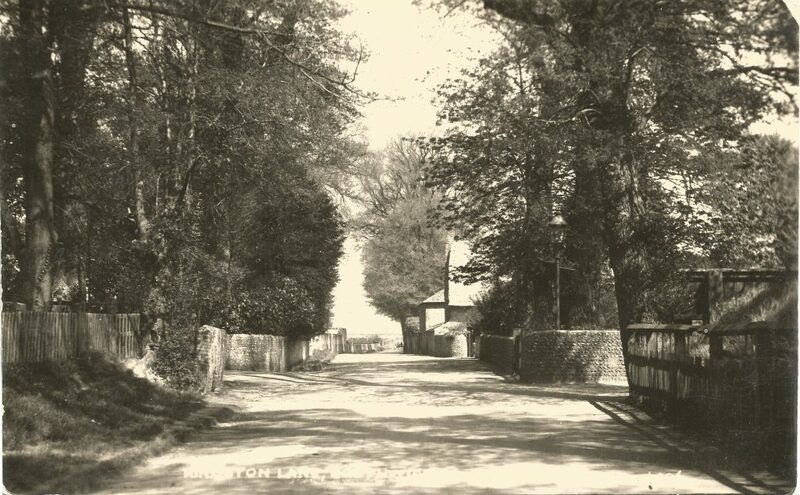 Kingston Lane itself has an interesting history in that it was the actual road along which the ‘headless riders’ rode. These were the smugglers from a previous era who illicitly trafficked in alcohol. They each would wear an enormous cloak and carry huge drums of alcohol with them on their horses, the cloak providing useful cover. 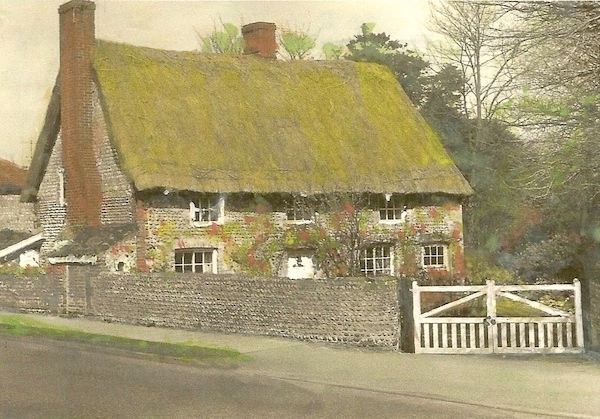 On the coast of Sussex there was, and likely still is, a particular cottage from which an underground tunnel ran right up to the house adjacent to the Manor House in Southwick. 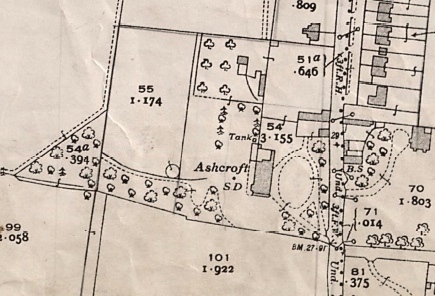 The tunnel continued on to the Vicarage at Kingston which was situated immediately adjacent to ‘Ashcroft’. ‘The Smugglers’ Cottage’ at Portslade was still there very recently and will likely remain as a part of a not so distant piece of history. The area abounded with tales of the smugglers and their illicit activities, especially around the old church at Shoreham. There is one often-told story about two separate groups of people, both involved in illicitly transporting their secret stashes of illicit grog from one place to another in the dead of night. Reportedly, both groups were equally terrified when they unexpectedly encountered a ghostly parade of people coming toward them, each thinking the others were ghosts. Two secret stashes of booze were dropped, and hastily abandoned, as the guilty parties scattered in all directions. 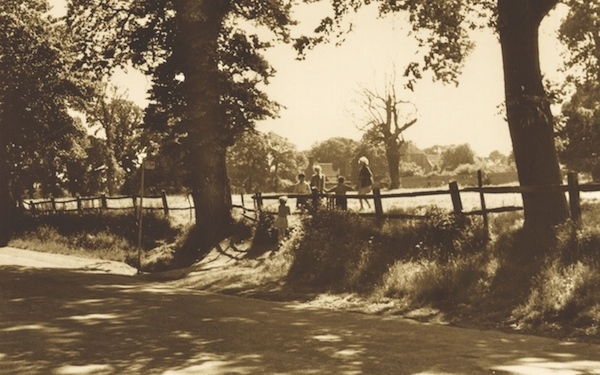 There is a road leading off Kingston Lane which was previously named Dark Lane, later renamed Park Lane. On the corner where the two streets met was a tree which was said to have sprung forth from a metal spike stuck in the ground to represent the burial site of a person who had suicided. At the time, people who had committed suicide were not allowed to be buried in consecrated grounds so a metal spike was reportedly speared through the deceased body where it was instead buried, supposedly to ensure it did not ‘take off’. In this instance, rumour has it that the spike which had been used for that purpose grew roots and turned into a tree. The magnificent grounds at ‘Ashcroft’ made an ideal playground, not only for Sheila and me but also for many others, as our parents regularly made these available to the public for various events. The property’s 2½ acres included a small paddock and many Girl Guide camps were held there. 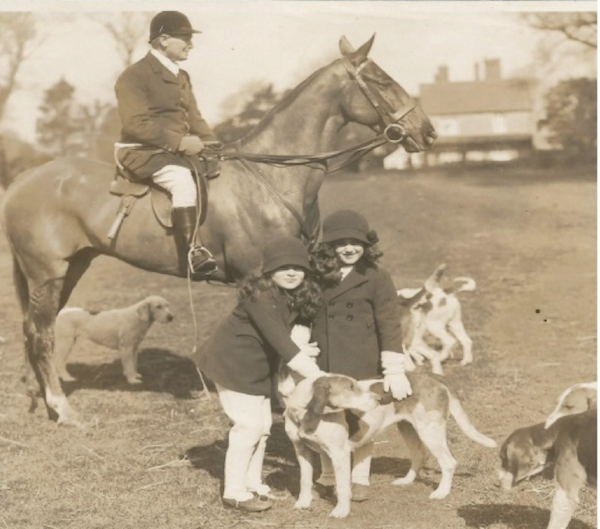 There were a few occasions when the local ‘hounds’ gathered on ‘Ashcroft’ grounds before taking off for ‘the hunt’. Their usual gathering point was in the open field next door to our property however the Hunt Club was eventually prevented from using the area after a main road was created at the top of Kingston Lane which cut off their previously easy access to the downs. The garden at the front of the house had many bushes surrounding an oval lawn and in the middle of which stood a single pine tree, positioned in such a way as to appear as if ‘on watch’. All around the gardens were laurel hedges. I recall a beautiful horse chestnut tree at the entrance to the stable yard, and stables. These comprised three individual horse stalls, plus parking for the car. Beyond the stables was a large walled rose garden with perhaps a hundred or so rose bushes. There was an archway built into the wall which gave entry to a huge kitchen garden in which every kind of fruit and vegetable imaginable was grown. There were tomatoes, kale, asparagus, currants, raspberries, strawberries – even a pomegranate tree and figs, both of which were usually impossible, or at least very difficult, to grow in England. On the other side of the vegetable garden was the chicken run and garden sheds, and beyond which was the ‘Ailsa Craig’ cottage with its’ own little garden and blackberries growing along the fence-line. Beyond that again was an apple and pear orchard. This led back to the paddock and the tennis court with its own seating area, all surrounded by elderberry bushes. Nearby to that was the dog run for the Maltese Terriers of which we had quite a number over the years. A garden of this type with all of its various delights had to also include a magical wood and ‘Ashcroft’ was no exception. Ours was situated adjacent to the dog run and is best described as a long and narrow dell. This magical wooded area contained all sorts of trees and a small pond at one end. There was even a tulip tree which was very rare; I believe, there were only two others like it in England at the time, although I’ve since been told one of them can still be found in Kew Gardens. Behind the house was a formal garden with a sundial and a surround of huge yuccas. These tall, spikey plants are members of the agave family with white bell-shaped flowers in clusters rising tall from the centre of the plant. To the north of the formal garden area was the theatrical garden where we presented plays. The area was surrounded by hedges and trees. Three impressive palm trees were planted in a garden bed and these were surrounded by nicotiana, very pretty with their pink and yellow flowers sending forth a magnificent perfume on a summer night. Immediately beyond that was a large glass-house, or conservatory, with plants rarely grown successfully in England although commonly found in Australia. For example, there were many cactus plants with their beautiful pink flowers which only flowered every few years. On the other side of the house, and to the south, was the croquet lawn at the end of which were more palm trees and other bushes, with the magical dell beyond. 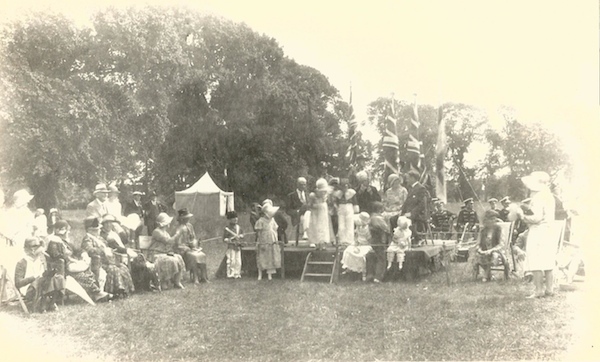 As well as providing a camping ground for the Girl Guides, and an occasional ‘meet’ for the Hunt Club, there were other occasions when my parents allowed the grounds to be used for fund-raising events such as fetes, or theatre productions. Sheila and I would take part in the general activities of the fetes, usually dressed up in costume. On one occasion we moved around the crowd selling balloons; I recall I was dressed as a young boy in clothes of the Victorian era. For some reason unknown to me, this became somewhat of a pattern as, throughout our many years of involvement in play acting as children, I was often given the male roles to play. I had no objection to this, in fact it remained a trend throughout my very long involvement with the theatre as I was regularly cast in the role of principal boy, or alternatively, equally as often in the role of an elderly person. Our costumes were often quite creative and at times, bizarre. Once Sheila and I were dressed up as a pair of shoes; another time I was dressed to reflect autumn. I remember one occasion when we were positioned on the hoopla stand and, as it happened, we were both wearing tall pointed hats. To our irritation, many of the contestants would aim the rings at us, deliberately hoping to have one land over our tall, pointed hats. Usually they missed and the ring would instead hit us in the face, or elsewhere equally unpleasant. Eventually we tired of being the focus of the locals’ entertainment, and of the contestants’ frequently poor – or perhaps at times deliberately good, aim so we went on strike. We left our posts and returned inside the house where we stayed until the terms for our return were agreed upon. We insisted we would only go back and participate in the event if people were stopped from throwing their rings at our hats. This was agreed to, and we returned to be part of the fun but, and as if proving our point, without our hats. From a very young age, Sheila and I used to put on plays in the formal garden area at ‘Ashcroft’. Initially these were on a very small scale with our family and friends providing an audience. Our parents encouraged our love of performing; our mother even designed an area of the garden so that it could be used for this purpose; she even had the hedges cut in such a way that these served as ‘the wings’ of the stage area for entry and exiting purposes. Subsequently this became the venue for other larger productions involving local theatre or community groups. Some of these productions were quite noteworthy, such as ‘The Knights of King Arthur’ which was performed by the Rangers who worked at the local dry cleaning works and which had its’ own Ranger unit. I was ten years old when Sheila and I took part in a pageant called ‘The Amber Gate’ which was presented by the district’s Guides and Scouts. The pageant comprised a series of episodes in the lives of child heroes and heroines. Sheila played the lead role as The Dream Girl in one of these episodes and I was one of the Brownies. 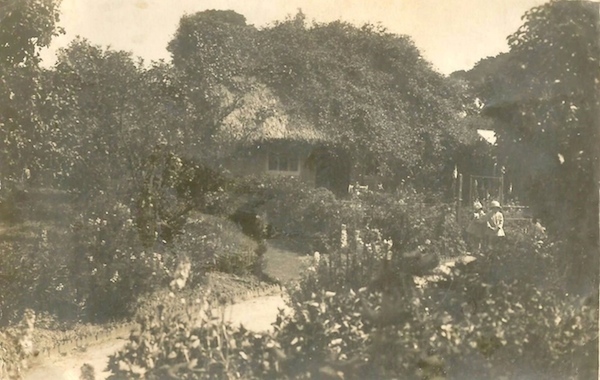 The garden setting at ‘Ashcroft’ was perfect for this production with the gate between one section of the garden and another ideally representing the pageant’s title of ‘The Amber Gate’. Being selected two years in succession to play the significant role of the Virgin Mary in the school’s Christmas nativity play was a contrast for me from regularly being type-cast for male roles as had become a recurring pattern. Our gym mistress always organised these productions. Even though I was absolutely hopeless at gymnastics, as well as most sports, she seemed to take a liking to me and gave me these and other notable roles in the various school productions. I was fourteen when I went on stage for what I consider to have been my first big performance. This was a charity pantomime of ‘The Clockwork Horse’ and in which I played the principal boy character. ‘The Clockwork Horse’ was originally written as a story and subsequently reconstructed for production as a play. I played the part of the watchmaker’s son, as opposed to the two less fortunate actors who had been selected to play the part of the horse. Their time on stage was spent buried deep within the horse’s costuming and my friend Pat, in her role of the principal girl, had to ride the horse. Although my role comprised quite a few lines, primarily the most important requirement of me was to be able to walk on stage, look good in tights, and act as if I owned the world. Fortunately, I didn’t have to sing and dance very well. Instead, I stood in the middle and the others all danced around me. Sheila played the role of the Fairy Queen in that production and, as with most things, together we made a well-balanced team, never arguing nor being at odds with each other. Our mother used to make the costumes for these productions and, as I enjoyed helping her with these, this was presumably the origin for me of my great attraction to costume design and supervising of the wardrobe with many theatre productions later in life. From a very young age I used to make miniature costumes for our dolls, often dressing them in the national costumes of various countries. Sheila went on to become involved in the world of professional theatre and made a successful career for herself as a drama teacher as well as a producer/director. I would often take it on myself to go in search of the more hard-to-find props or costumes she required for many of her productions. Although my career path took off in a different direction, from a young age I loved all the many dimensions of theatre and I continue to love being part of it, although less actively so these days. Despite not being directly involved, our parents were both very encouraging of this interest and for which I remain very grateful. As was the norm in those days for families in the fortunate position of being able to afford to do so, our household included a number of staff, most remaining with us for many years, at least until the onset of the war, and with some continuing thereafter. As ridiculous as it might now seem, for some of those years we had more staff than family members. Mr Cornford was our butler for many years. We also had two maids as well as Nellie the cook and a woman who worked for us on a part time basis attending to the laundry. As well as these members of the domestic staff, we also had gardeners and the chauffeur. Nellie, the cook, was a favourite of mine as she used to let me help her in the kitchen. In particular I recall being taught how to make peppermint creams and also the small pats of butter which we often mixed with parsley. Once again, as was in accord with the standard practice of the time, every evening my parents made a point of preparing themselves for dinner, changing their clothes and freshening themselves up even when it was only the two of them who would be dining together. Compared with today’s casual attitude toward family life, the lifestyle of the era then was quite formal and ours was certainly quite typical of the times. A few years after moving into ‘Ashcroft’ our small family began to expand. My paternal grandmother and my Uncle George both came to live with us as she had become too old to care for herself. Uncle George had lived with her since his return from active war service which included a period of being held captive as a prisoner of war during World War One. I don’t know the details but it was apparent to all that he had been significantly affected by his wartime experiences and, likely in particular, as a prisoner of war. Although his disabilities did not appear to have been to an extreme level, he was not considered capable of looking after himself, let alone my elderly grandmother. My grandmother also brought her nurse with her. She was a lovely north-country woman whose name was Nurse Elder and, although having the same surname, she was of no relation to us. She was probably in her late 20’s, or early 30’s, but to Sheila and me she seemed to be old. We enjoyed having her with us, so much so that after my grandmother died in 1929 and, having nowhere else to go, Nurse Elder stayed on to become our governess for a short time. My father had had a row with our governess during the time of my grandmother’s funeral and had sacked her so it made sense for Nurse Elder to stay on; it suited everyone well. She supervised and generally kept an eye on us as our parents attended to the tasks of their generally busy days, as well as always being with us when we were served our evening supper which we ate in the nursery while our parents dined more formally downstairs. As with Nurse Elder, Uncle George also continued to live with us after my grandmother’s death. He was a solidly built, quietly unobtrusive man, choosing to spend many long hours working in the garden as well as taking on the care of the family dogs. We kept a number of Maltese Terriers at ‘Ashcroft’. My favourite was the father of the pack who was named Judge. We also had a cat we named Jury, so for a while we had both Judge and Jury with us. Our menagerie increased with the addition of a female dog who, and in keeping with the ‘J’ theme, we named Jaggie. She came from a garage owner and was a real mess when we took her in. She was covered in fleas; her coat was matted with oil and her mouth was all gummed up with God knows what, so much so that she could barely open it. My mother cut off all of her fur then bathed her and, when her hair grew back, we were surprised to realise her coat was quite curly. In the first instance, Sheila and I were both home schooled by our mother. As she had previously been a school teacher, she was well equipped for this and I have no reason to believe home schooling did not work well for us. To be home schooled was a quite common practice in those days. We did our lessons which our mother set for us and I believe we were sufficiently well prepared with regard to the curriculum when we later went to a local prep school in Hove. I was about nine years old by then. 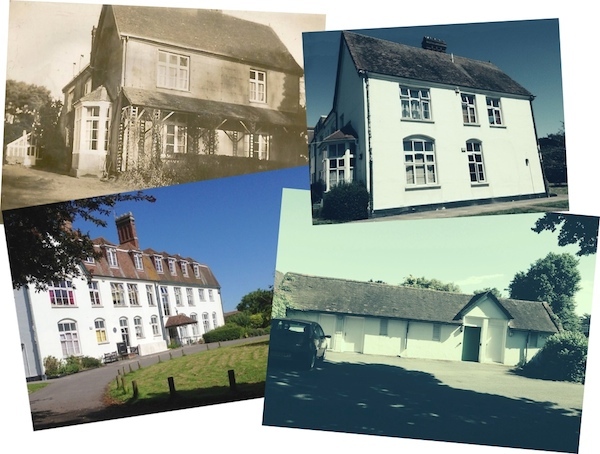 The school itself was quite ghastly and it seems our mother had concerns of her own as we did not stay at that school for very long Instead she arranged for us to go to The Downs School in Shoreham which was a few miles from our home. We travelled to and from school each day by bus. The school was established in a big house behind the local park. In the grounds of the park were the ruins of an even older house which we all chose to believe was haunted thereby creating some self-imposed terror for us all whenever we had cause to walk past. I saw my first Shakespeare play during my time at The Downs. It was a production of ‘Julius Caesar‘; I remember it well, although at the time I was most taken by the fact that the role of Mark Antony was played by an actor who had a lisp. To this day I can still hear his attempts to say the famous lines, “Friends, Romans and countrymen, lend me your ears. I come to bury Caesar not to praise him” – all said with a lisp and which can still cause me to smile when reminded of his performance. For the first few years of our secondary schooling Sheila and I attended St Mary’s Hall, an English Public School in Brighton but when war broke out, and with the coastline being bombed, the school had to close down. 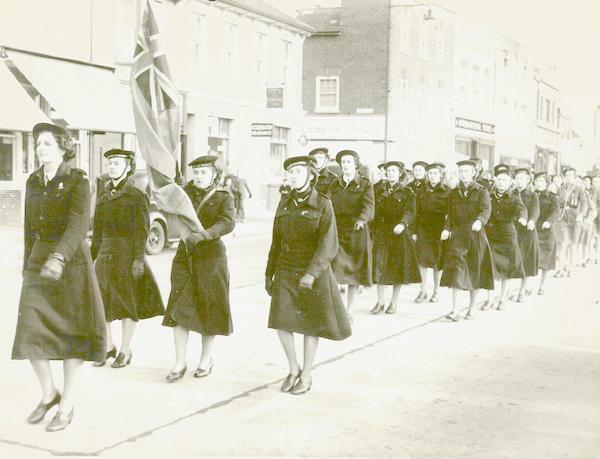 At the beginning of the war, the 1st Shoreham Guide Company was run by Margaret Drummond. There were four Guide Companies in Shoreham and the company which Sheila and I had always belonged to was the ‘3rd Shoreham’. My mother was the District Commissioner overall. Margaret Drummond was a lovely person and I well remember going to tea with her along with my mother and sister. As there was a shortage of Guiders due to the war, Sheila and I were both roped in as extra helpers. I helped Mrs Drummond till she left to join the WRNS when I then took over the company for a short time until I went into the Ministry of Supply. I mention all of this because Margaret Drummond ended up as The Director of the WRNS after the war ended, and was one of their longest serving and best known Directors. I knew her as a humble Guide Captain. I also assisted Sheila with the Sea Ranger crew she was running, and I went on to start an Air Ranger unit. On Sundays our Unit would go to the local airfield to help the Aero Club in any way we could. One of the girls in our unit was the first Air Ranger ever to fly a plane. She was the daughter of a widow and the Aero Club arranged a scholarship for her to enable her to be trained at no cost. I have no idea what became of her, nor whether she went on to use her training as a pilot in later years. The President of the Aero Club often invited me to stay for lunch. Usually I happily accepted this invitation as there was always a lot of single young men around and a social diversion was always welcomed. The club members often included us in some of their meetings or activities including one occasion when we all went on a trip to the Isle of Wight. These occasions were all made available to us under their umbrella of goodwill as they were very pleased to have us there, and by helping them in various ways. Meanwhile, we all had a whale of a time. By then I was in my twenty’s, and old enough to participate in their social activity. There were a lot of young men who were eager to ply me, and the others, with drinks, so much so that the bar manager used to give me tonic without the gin or else we both knew I would have been regularly ‘under the table’ as a result of their generosity. 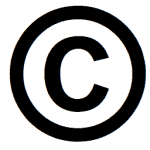 By the mid 1930’s, our lease agreement on ‘Ashcroft’ was close to ending. As the property was subjected to a one thousand year lease, rather than enter into a renewal of the lease, my parents decided to purchase a house. My father was planning to retire and they wanted to have a house they owned rather than be locked into further leasing arrangements. 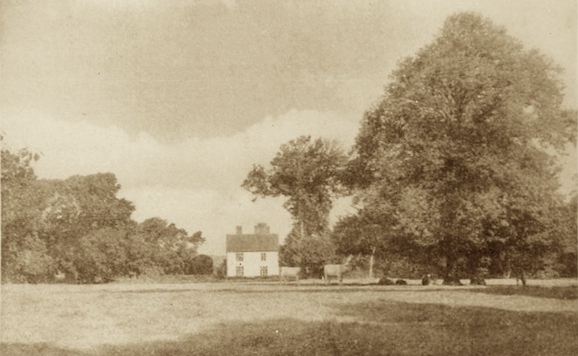 House-hunting began in earnest and eventually we purchased ‘Highcroft’, a property of six acres situated at nearby Bramber, not far from Steyning in West Sussex. 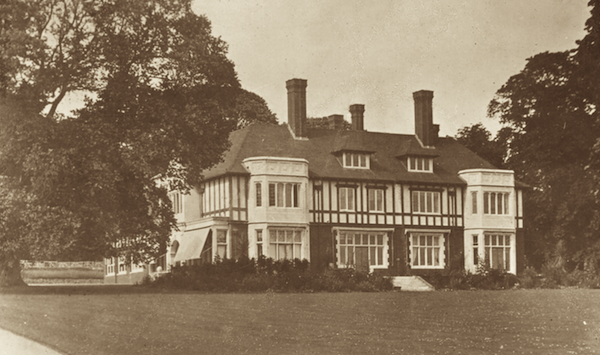 With the purchase of ‘Highcroft’ finalised in 1936, it was approximately two years before it was ready for us to move into as my parents were having it renovated and extended. 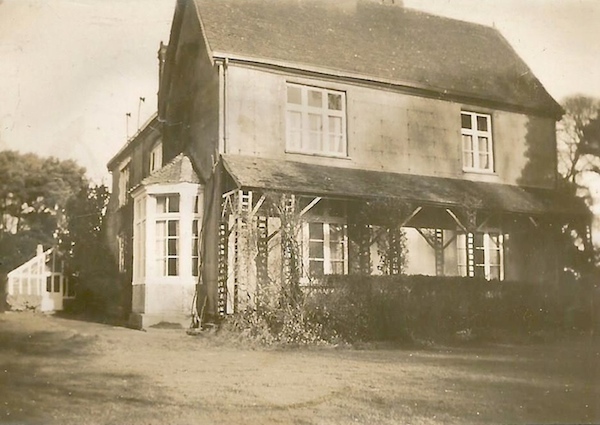 It was Christmas 1937 before the work was finished and the house made ready for us. We made the move early in 1938. ‘Ashcroft’ was subsequently purchased by the man responsible for introducing the Belisha Beacon to pedestrian crossings, Leslie Hore-Belisha who, as the Minister for Transport in 1934, added beacons to pedestrian crossings. He remained at ‘Ashcroft’ for some years before selling it during the 1940’s to Max Miller, the comedian. 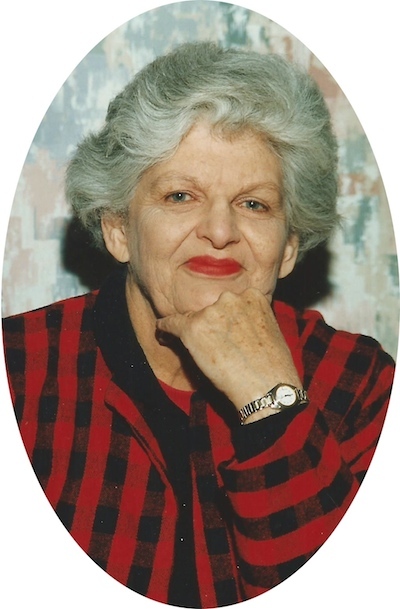 Ailsa Berrie Travers, nee Elder. Top: Ashcroft then and now. Below: The east side and stables. 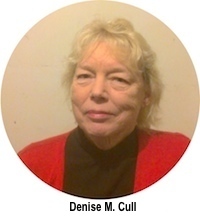 Denise M. Cull from Australia has written a biography of a family who lived at ‘Ashcroft’ in Kingston Lane during the 1920’s and 1930’s. The story of this family was prepared from the spoken word of Ailsa Travers who lived at Ashcroft as a child. 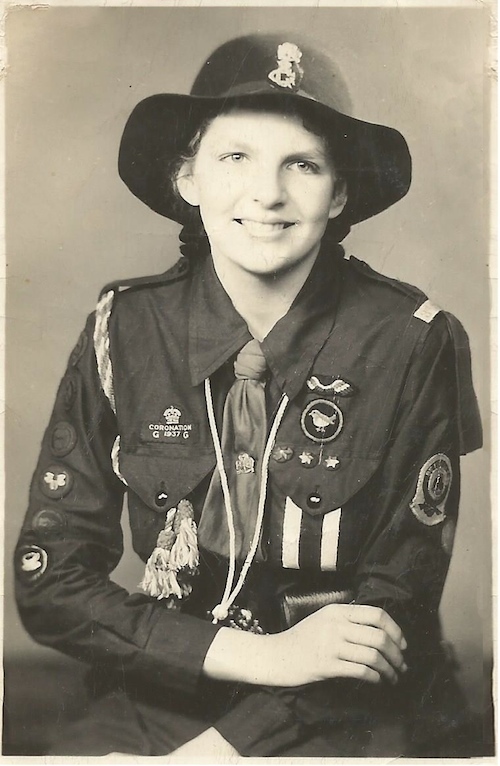 The book, ‘Ailsa Travers … A Full and Colourful Life,’ describes her as a remarkable lady who later emigrated to Australia where she continued with her lifelong involvement in the Girl Guide Movement, becoming District Commissioner in Australia and holding other executive positions, and was recognised with an award for her nearly 50 years commitment to the Movement. Ailsa has been active in politics and is currently vice president of the local branch of the Australian Labour Party (even at 90) but even more so, has gone on to become a highly regarded member of the theatrical community still directing and acting, all of which began in the gardens of Ashcroft and continued in Japan, Burma, India, and Singapore before expanding greatly once she and her family settled in Perth, Western Australia. Ailsa has kindly agreed for Denise to send us that part of her book relating to Ashcroft from which this abridged version has been taken. This and her photos have turned out to be a really valuable piece of our local history concerning her family and a house that we had all heard of but until now knew little about.